It looks like there might be a few tweaks coming to the in-network notifications for Google Cast to make it more clear what the notification is. We've received a report that the notification has been changed to include additional details, likely in an attempt to prevent accidental dismissal by others on the network. It's more than debatable whether or not the extra explanation attached to an ongoing notification will have any effect in preventing accidental interactions by guests. But, at a minimum we can publicly shame their reading comprehension skills when they kill your sweet Roller-Blade Runner playlist mid-party. The issue of casting notifications on guests' devices has been a long-standing problem for Google Cast users, and a source of humor for everyone else. 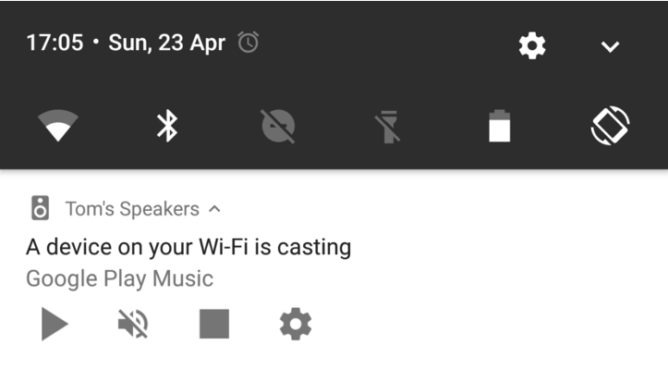 For those who haven't had the individual joy, all supported Android devices on a network receive an ongoing notification when a cast is taking place. As a result, anyone on the network including guests can be capable of controlling the cast via that notification. Season that with a pinch of average technical skill and you can see how you might run into problems. 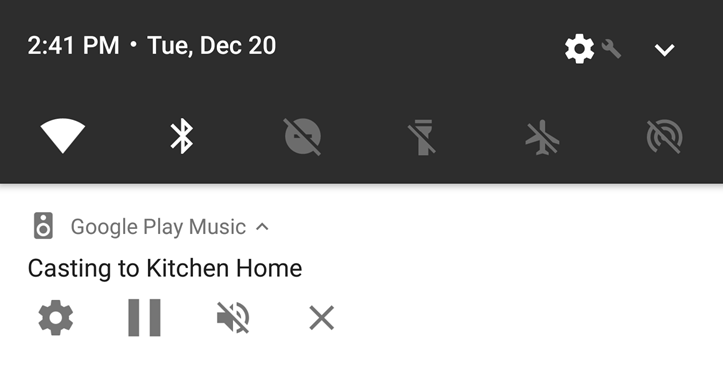 The new notifications are mostly the same, but feature a new "A device on your Wi-Fi is casting" bit of text presumed to educate the cast-ignorant before they cut your tunes. Below you can see the old and new compared. They also shuffled some of the buttons a bit and moved the location for the name of the service doing the casting. They don't actually do anything to stop people from messing with things, but it's a step in the right direction. I'm not able to see the recent changes on any of my devices, but it's possible the feature is still in testing or undergoing a progressive roll-out, so keep an eye out and you might see it on other devices in-network. 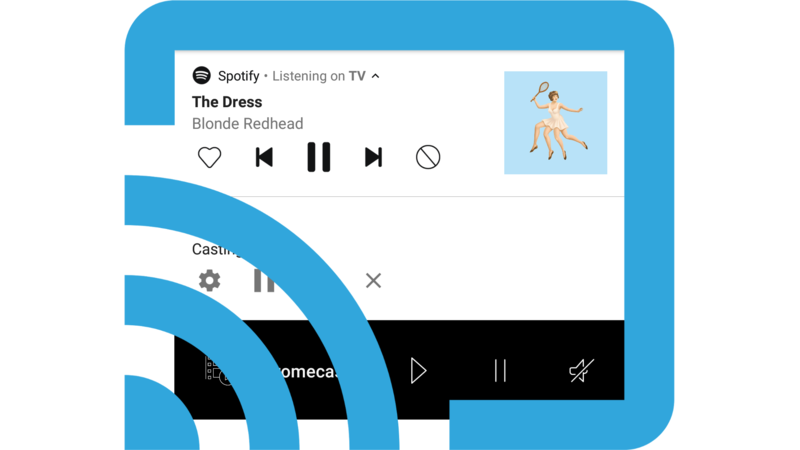 Our own Artem can confirm that the change is part of the update to Google Play Services 11. If you want to check it out but don't have that update, feel free to pull it down over at APKMirror. Should Progressive Web Apps be allowed in the Play Store?